130:8.1 The first stop on the way to Italy was at the island of Malta. 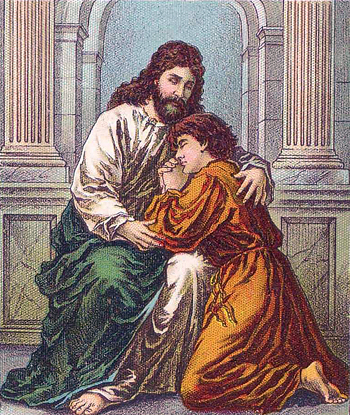 Here Jesus had a long talk with a downhearted and discouraged young man named Claudus. This fellow had contemplated taking his life, but when he had finished talking with the scribe of Damascus, he said: "I will face life like a man; I am through playing the coward. I will go back to my people and begin all over again." Shortly he became an enthusiastic preacher of the Cynics, and still later on he joined hands with Peter in proclaiming Christianity in Rome and Naples, and after the death of Peter he went on to Spain preaching the gospel. But he never knew that the man who inspired him in Malta was the Jesus whom he subsequently proclaimed the world's Deliverer.